To complete the overall aesthetic of your home or business, you make be looking into interior painting as well. 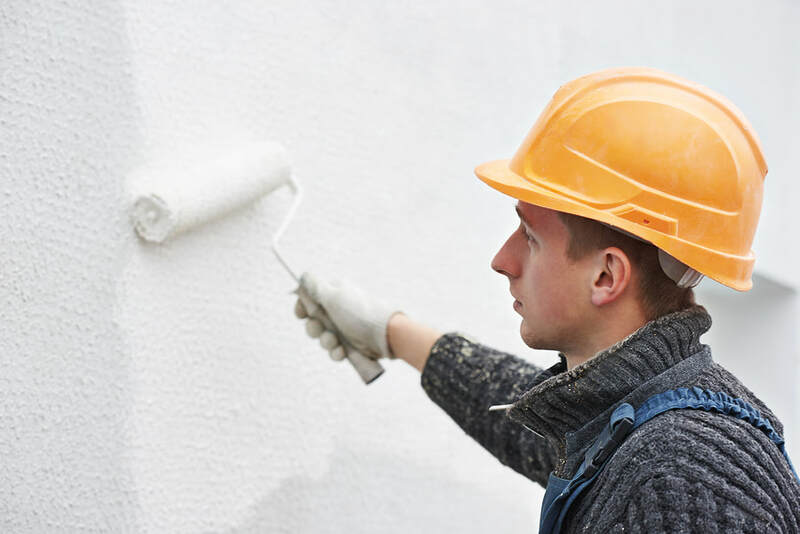 Interior painting is similar to exterior painting in that the process is almost identical, from cleaning the walls to priming and sealing them. The options of paint, however, range more in color and texture than those for outdoor surfaces. Clients often get more creative with their interior paint choices given the numerous options available, and we’re able to accommodate the need for intricate designs or patterns. Preparing the walls for interior painting is similarly done to exterior, however, power washing is not needed for indoors. Instead, the walls should be removed of any chipping or flaking paint that currently exists, along with wallpaper and other stickers or vinyl. We then clean the walls by removing dust and debris, along with cleaning the surrounding room to avoid dust circulating in the area and getting stuck to the wet wall. We then add a primer to the wall which will help cover any small imperfections such as scratches or minor dents. Many clients enjoy interior painting options due to freedom and flexibility they have when creating their interiors. If you’re looking to create a custom painting design for your interiors, we’re able to help you achieve that. Some of the popular customizations include paintings on the wall, stripes, and much more. These patterns can be painted on the ceiling and the walls. If you have an idea in mind but aren’t sure how it would look on the walls, we can also enlist the help of some of our professional designers to assist you. They can recommend which colors would look best with your furniture or how colors will look in certain lights, all of which can aid you in determining what customization you’d like best. Along with customizations, many clients will often request accent walls in their interior painting projects. Accent walls are intended to bring depth, color, and complexity to a room. They can come in a variety of colors but are often done with brighter, unique colors that differ from the wall colors of the rest of the room. Accent walls are painted and applied the same way other paint is, so you don’t have to worry about your customization taking longer to complete. As part of the customization process, we also have requests for intricate designs. These can sometimes include patterns or pictures that are painted onto the wall using stencils. You can choose from a selection of patterns and pre-made designs that we have in-house and are happy to apply for you. If you find a design you like, you’re able to customize it with different colors to create one that perfectly matches your preferences and room. Adding a design may take longer as it requires more precision, but will hold up against the wall like any other painted surface, making it a unique alternative to white walls. Midland Paint Pro - Serving the Midland and Odessa Texas Area.